Lighthouse Labs is different from traditional education in a number of ways, but as an instructor I have one difference that's my favorite: project-based learning. We have our students put virtually all their time into learning through building. The result of this is students not only walk away with the skills they need, but also with a strong starting portfolio to show prospective employers. Then at Demo Day, they get a chance to let those projects shine. That's right - our newly launched website(that you're reading this blog on) was made by our students Rachel and Joseph(pictured above). This one is my absolute favorite, because it's our ultimate "put-your-money-where-your-mouth-is" move; we believe in our students so much, we'll let them build the page that represents us. Want to learn more about how they did it? Watch the video on our homepage. 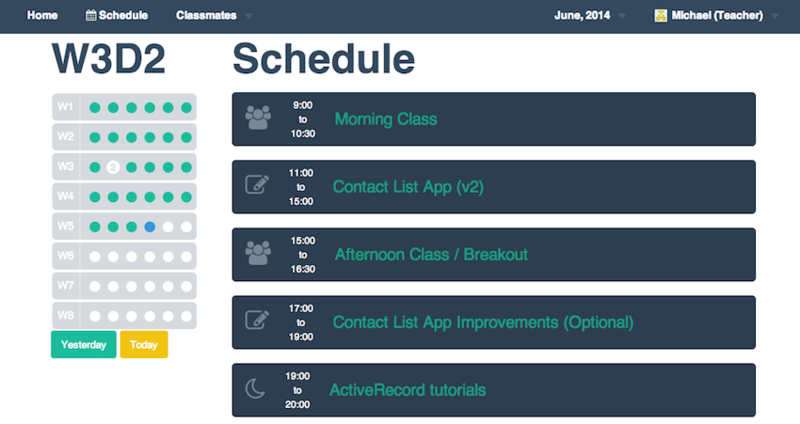 We deliver our class schedule for the day with our proprietary, open-source tool called Compass. Like students anywhere, they see ways to improve their learning experience. Unlike students anywhere, since our tool is open-source, they are able to go in and make the improvements themselves (with my approval, of course). So far students have added the calendar feature you see above, edited the CSS, and helped to implement a classmate database. This one is in development. 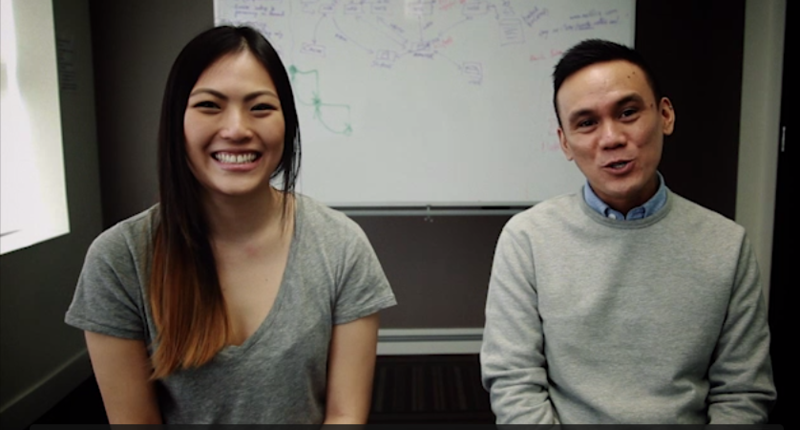 Creating connections between Lighthouse Labs' hiring partners and our students is crucial for us. As we grow, so do the number of both students and partners. 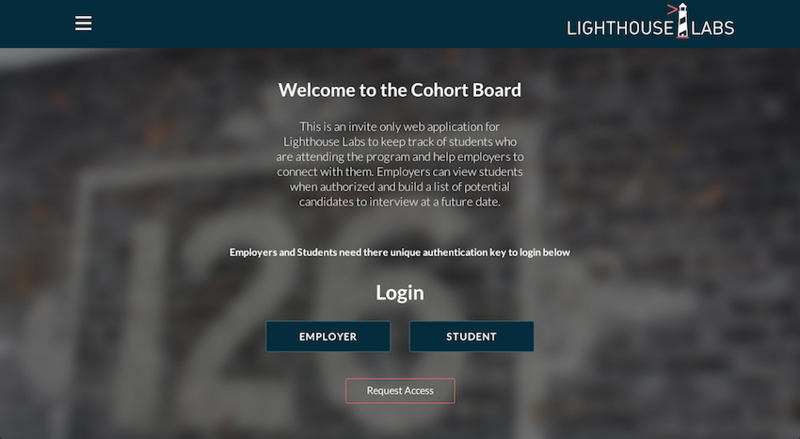 To better facilite this connection, one student is currently developing a platform for employers to search through Lighthouse students. They'll be able to see student's resume, portfolio, and bio, and then choose which ones they'd like to interview. Overall, I'm very happy with how all these projects are shaping up. It's pretty cool what our students are building after 8 weeks. To see more examples of what they're making, click here.